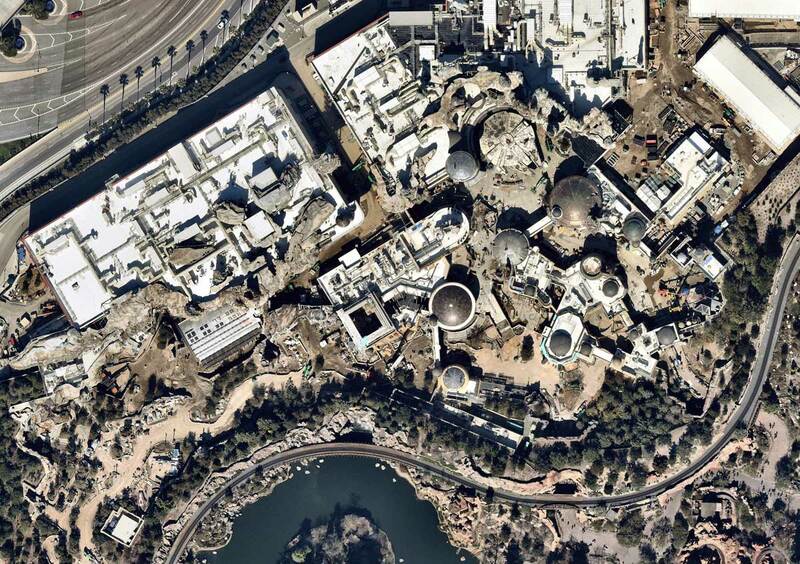 New aerial satellite photography from Nearmap gives us a good look at just how close Star Wars: Galaxy’s Edge is to opening to the public. 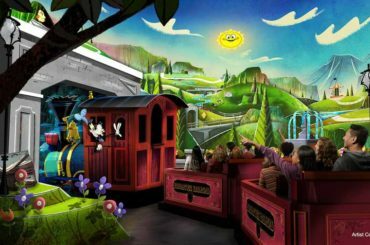 This version is at Disneyland and will be the first of the two nearly identical Star Wars-lands to open in 2019. The new photos below were taken toward the end of February 2019. 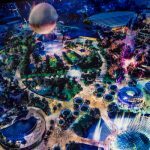 Star Wars: Galaxy’s Edge is expected to open in June 2019 (we should learn more about that soon) and, at 14-acres (give or take), is the largest single-land expansion ever built at the Disneyland Resort. 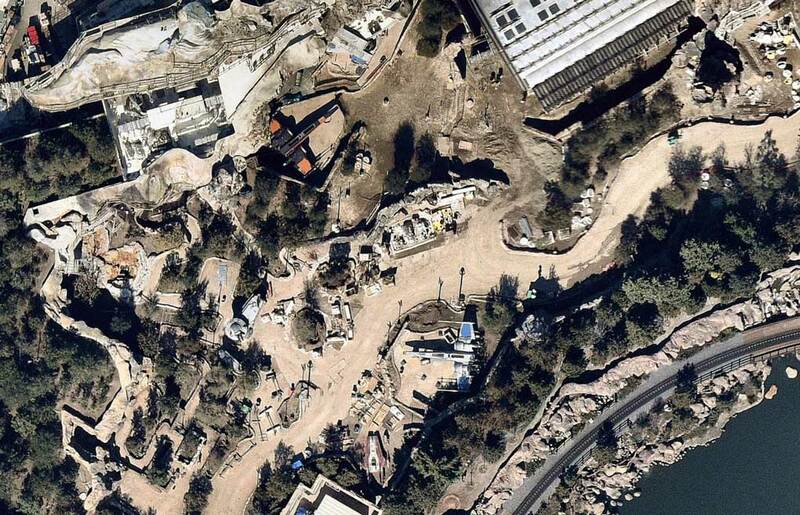 When you visit Star Wars: Galaxy’s Edge you will step foot onto the planet Batuu. Once part of an old trading route, the planet is now mostly forgotten. This makes the small outpost of Black Spire the ideal spot for pirates, resistance fighters, and traders to thrive. In the aerial shots in this slider you can see where the two main attraction buildings are toward the road at the top. Below the attractions are number of shops and dining locations and then a berm that separates the land from the Rivers of America and the Disneyland Railroad. Nearmap also provided these photos with more zoomed in looks at the various buildings shot almost directly from above. Here’s a closer look at the Resistance camp with two X-wing fighters, another spaceship, and a look at the exterior queue are for the big “Rise of the Resistance” attraction. To the lower left is the entrance to the land if you’re coming from Frontierland. 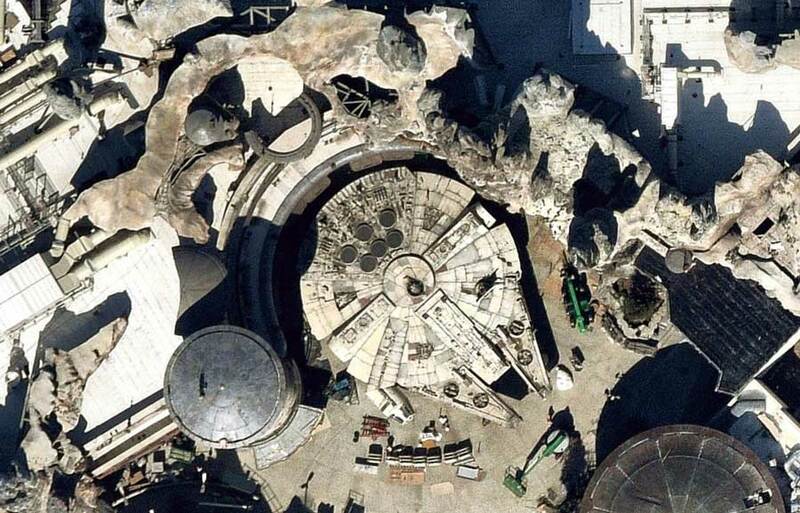 The marketplace and some of the dining facilities, are toward the left of this image and to right is the First Order base (complete with the new-fangled Tie-Fighter ‘Echelon’ class which might show up in Star Wars: Episode IX). In the lower right corner is the entrance to the land if you’re coming from Fantasyland. Parked nearby is this thing of beauty. Yes that is the fastest ship in the galaxy, the Millennium Falcon. 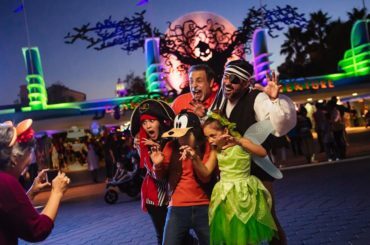 We can’t wait to pilot that ship ourselves in Smuggler’s Run attraction. 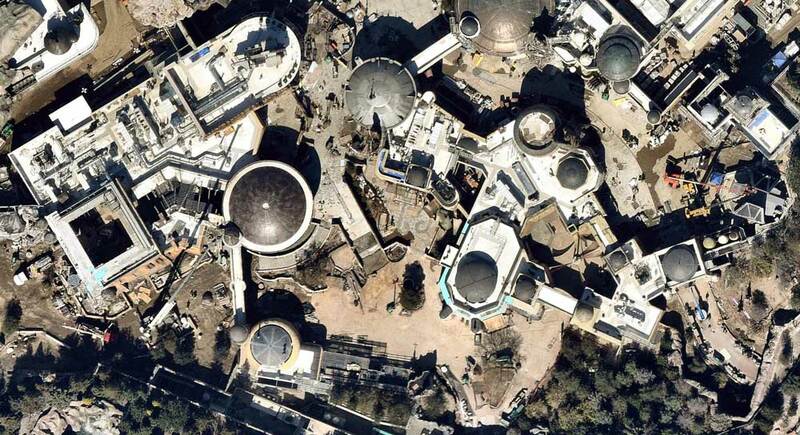 Thanks again to Nearmap for giving us these amazing satellite views of Star Wars: Galaxy’s Edge. It seems very close to being ready. Did you see any details we missed? Let us know in the comments.